LONDON, UK, Oct. 10, 2017 /CNW/ - Meridian Mining SE (TSX V: MNO) ("Meridian " or the "Company")today announced production and sales results from its Espigão manganese project for the third quarter ending September 30, 2017. All financial results are reported in US dollars unless otherwise stated. "Q3 has seen record production levels from our Rio Madeira plant which has enabled the Company to exceed production targets for the quarter." said Anthony Julien, President and CEO of Meridian. "The Rio Madeira plant has carried the business, as we complete the upgrades to our Jaburi plant. We have now cold commissioned the Jaburi plant and plan to ramp up its production this month." Meridian achieved production of 18,488 tonnes in the third quarter, compared to 13,445 tonnes in Q3 2016. This represents a 38% increase in line with the forecasted ramp up of manganese operations as planned for 2017. Meridian has confirmed orders for 2017 totalling 53,129 tonnes, which will account for all planned production in 2017. CIF Tianjin pricing for 44% manganese was $6.54 per dmtu as of September 30th, 2017. (source: www.metalbulletin.com). The Company has signed an offtake contract for a minimum sale of 20,000 tonnes and the option to increase to 30,000 tonnes for 2018. This offtake is to the same international customer that purchased 20,000 tonnes in 2017 (see news release dated June 21, 2017). The sales contract will consist of shipments to be completed before year-end 2018. Given that Meridian's product is high grade, it will be priced at a premium to benchmark. 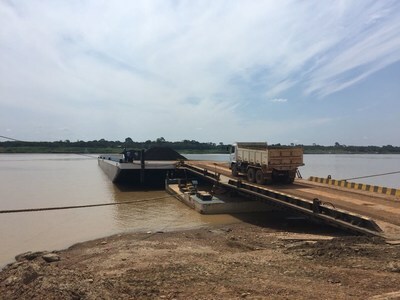 The first shipment for 2017 is underway with product been stockpiled at Porto Velho port, in Rondonia and is being loaded onto barges to be trans-shipped in bulk at Outeiro port in Para State. The technical information about the Company's production and sales activities has been prepared under the supervision of and verified by Carlos Braga (B.Sc., MBA, member of the Chilean Mining Commission), the Chief Operating Officer of Meridian Mining, who is a "qualified person" within the meaning of National Instrument 43-101. Meridian Mining SE is focused on the acquisition, exploration, development and mining activities in Brazil. The Company is currently focused on exploring and developing the Espigão manganese and gold projects, the Bom Futuro tin JV area, and adjacent areas in the state of Rondônia. The Company employs a two-pronged strategy with the objective of growing pilot production while advancing a parallel multi-commodity regional exploration program. 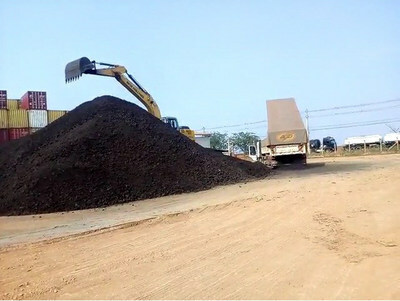 Meridian is currently producing high grade manganese at its project located at Espigão do Oeste. The TSX Venture Exchange has in no way passed upon the merits of the proposed Arrangement and has neither approved nor disapproved the contents of this news release. Neither TSX Venture Exchange nor its Regulation Services Provider (as that term is defined in the policies of the TSX Venture Exchange) accepts responsibility for the adequacy or accuracy of this release.